and how the campaign concerning your petition should look like. Thus one has to settle if the petition deals with an issue concerning either politics, the media, education or something else. Does it concern the people right there in my street or is it something that affects everyone in this country? How do the circumstances look like, what was exactly missed by the lawmakers and which problems result from that? The petitioners have to provide a detailed and solid documentation for the recipients which in the best case is accompanied by well-defined campaign. The bandwidth of petition examples seems to be endless. Some petition examples would be the raise of the gasoline price, noise disturbances caused by planes or the violation of human rights. 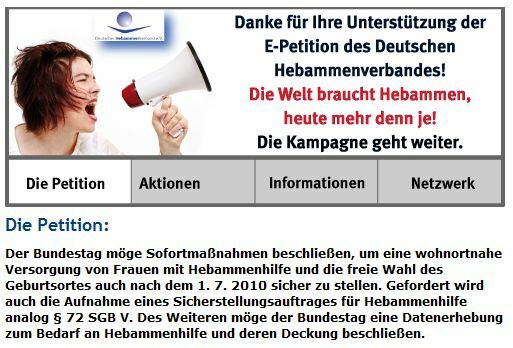 A sample petition would be the online petition stated by the German Midwives Association in 2010. It dealt with the raise of the liability premium and the generally quite low fees of midwives. To reach a public sitting the midwives had to collect 50.000 signatures. The public sitting was held, the government reconsidered the matter.